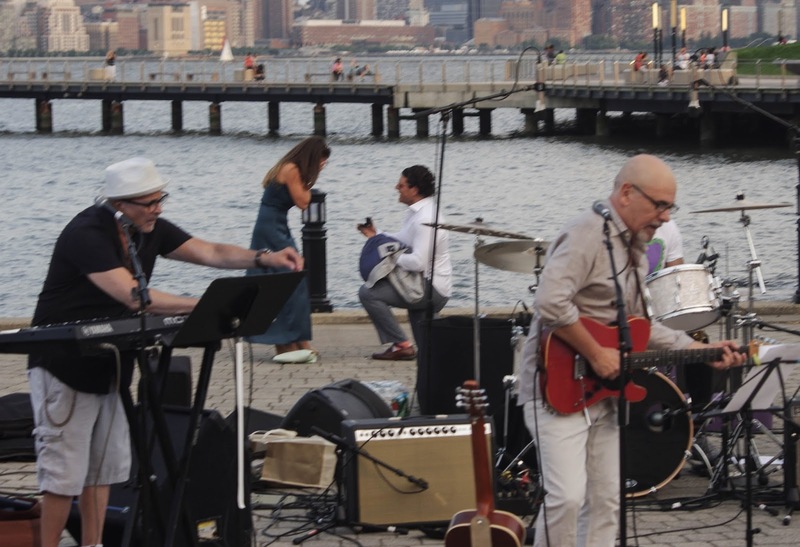 Last night's gorgeous evening was the perfect backdrop for Julio Fernandez of Spyro Gyro fame to invite a few of his friends for a waterside concert at Sinatra Park. On the second song, the crowd was treated to a most unusual sight. A man was walking by with a woman when he suddenly dropped to a knee and whipped out a black box with an engagement ring. This all happened directly behind the band as seen in the photo below. Hundreds of people in attendance witnessed the unique event. The Horse captured the moment and the reaction to the proposal from the woman clearly overcome with emotion. By her reaction, apparently the answer was yes. Spontaneous applause from the crowd followed. 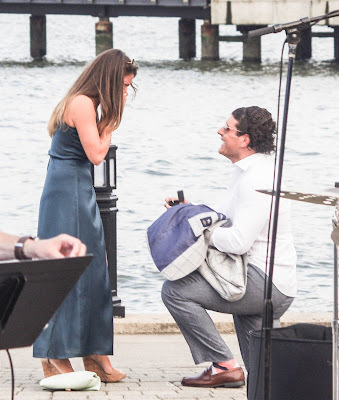 Talking Ed Note: A little tug on the heartstrings with beautiful renditions of some great songs including "All Along the Watchtower," "Kid Charlemagne" and a beautiful finale fitting to any proposal, "Maybe I'm Amazed," by Paul McCartney. Thomas surprised his lady with one great moment for the ages. Congrats to them both.